On the up: Ryan O'Donoghue and the Mayo U20s will be looking to get off to a winning start tomorrow. Photo: Sportsfile. While most of the Mayo faithful will be concentrating their attention on the happenings in Limerick on Saturday evening, there is another very big championship game involving a Mayo side also taking place that day. On Saturday at 1.30pm the Mayo U20s will begin the county's maiden voyage in the newly revamped championship against Leitrim in MacHale Park. This year marks the first year of the U20 championship which replaces the old U21 competition, and along with the new age restriction, the competition has also been bumped into the height of summer instead of its old spring slot. In charge of the Mayo team this year is Ballaghaderreen man Michael Solan - who in his first year with the U21s in 2016 guided them to All Ireland glory, last year in the final year of the U21 competition Mayo were eliminated by eventual All Ireland finalists Galway in the opening round of the provincial series. 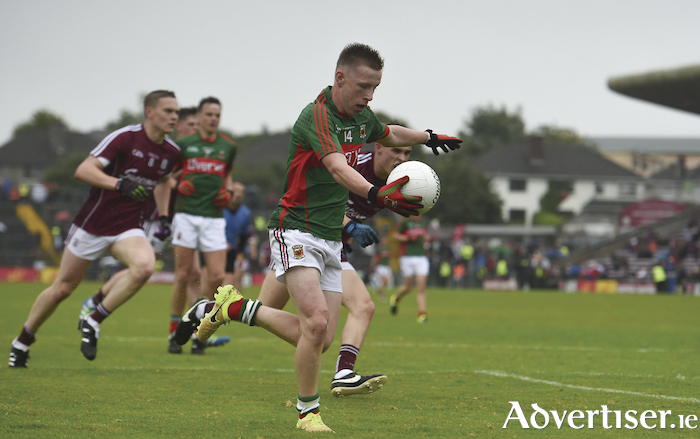 Should Mayo get over Leitrim, they will face either Galway or Roscommon in the final of the competition — which has been penciled in to take place on Sunday, June 17. Another change to this format of the competition this year is that all games must finish on the day, which means in the event of a draw there will two 10 minute periods of extra time, if it is still level there will be another two periods of five minutes extra time, and if the sides still cannot be separated at that stage it will go down to a free kick taking competition. When this group of players were minor they lost to Galway in the Connacht final on a scoreline of 1-9 to 0-6, having beaten Leitrim in the semifinal on a score of 4-11 to 1-8. One of the main men for Mayo in that championship campaign was Belmullet's Ryan O'Donoghue who bagged 3-4 against Leitrim in the semifinal and two points in the Connacht final. O'Donoghue is expected to be one of the main men for Mayo again this time around, along with Paul Lambert, Johnny Maughan, Stephen McGreal, Colm Moran, Nathan Moran, and Pat Lambert. A big summer could be in store for the team and they will be expected to get the summer off to a winning start tomorrow afternoon.